I'm pleased to report that our UK Scanning Directory which supports and funds the forum here at ukradioscanning.com is to be featured in next months popular Radio User Magazine which hits the shelves on the 28th November 2013. Our team leader Tony (M3TSY) has been in talks with Bill Robertson who is responsible for The Scanning Scene section of the magazine. After ordering the directory he was impressed and talks went further. Bill is also authorised to use our Shopwatch and Pubwatch lists and updates and if your ever in need of a PDF version of these you can get them here. 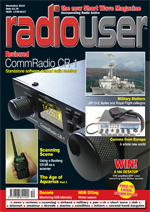 RadioUser was launched in January 2006 – taking the very best from both Short Wave Magazine and Radio Active. Short Wave Magazine was first published in 1937 to cater for the radio enthusiast. This it continued to do in its own inimitable way until March 1987 when, after 50 years of service to the UK radio amateur, it was re-launched to cater for the radio listener. Since it’s debut, RadioUser has been the best selling radio listeners’ magazine in the UK. You can get Radio User for £3.75 at WHSMITHS or order it at you local newsagents, alternatively you can get the current or back issues directly from the Pickwick Publishing site on the link below where you can also view a sample copy of the magazine. RadioUser is released By Pickwick Publishing. I read that Radio User is under new management...? and that they are now an online version but the site is down...? Yep.I got the FEB 2018 issue through my door yesterday. bassist5 wrote: Yep.I got the FEB 2018 issue through my door yesterday. 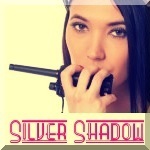 Silver Shadow wrote her post on Sat Nov 23, 2013. Yeah its still going, i get mine via post. The online thing is new to me! thelad wrote: Yeah its still going, i get mine via post. The online thing is new to me! I believe the online sales stated with the new owners. But it makes very poor economic sense. As there is no printed physical copy to keep & no distribution or printing costs to fund & no shop or wholesaler to fund. So an online copy should be significantly cheaper than a shop copy. But it's not. So extra profit for the publisher & the loss of a physical copy for us.